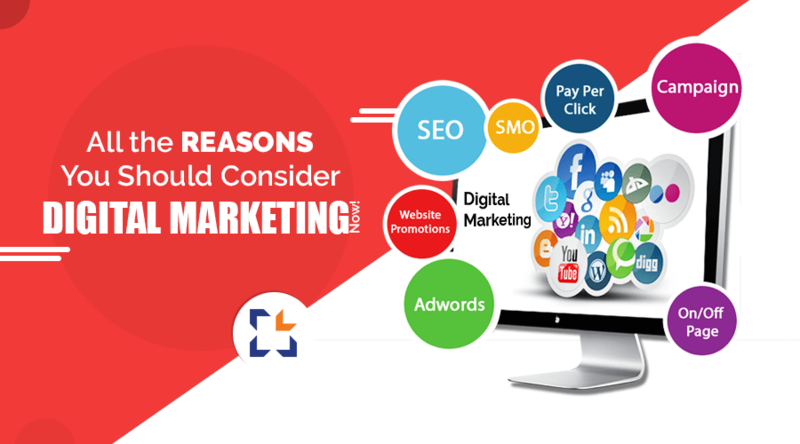 All the Reasons You Should Consider Digital Marketing Now! You cannot ignore digital marketing anymore if you really intend to remain competitive in your business to guarantee growth, brand reputation and ROI. To remain sustaining in this cut-throat competition, maintaining a balanced digital marketing strategy is as important as water for fish. If your competitors are leaving you behind in terms of SEO ranking, then it is the high time you brace yourself against your business being stalled. Popular search engines rank your website in terms of the keywords used, content quality etc. If your website is behind of your competitor’s website, it means they are doing better than you and the other website is more likely to get traffic. 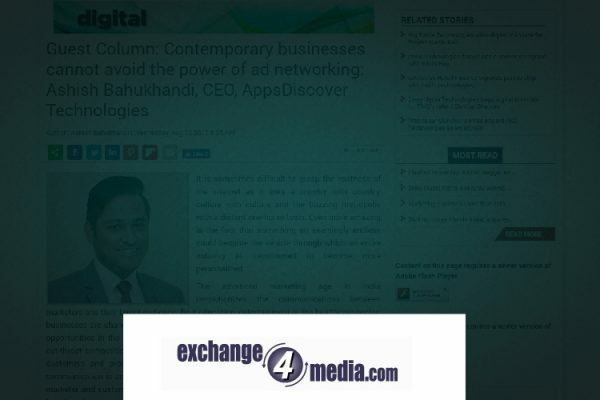 This scenario is alarming and you need to step up your game in terms of Digital Advertising. Social media is platform is strengthening its influence with each passing day. Looking at this scenario, use of social media has become one of the major Digital Marketing strategy. This is the most common way to direct traffic to your website. For survival in this industry it is very important for an organisation to have active pages on LinkedIn, Facebook, Instagram, Twitter, Pinterest, YouTube etc. We all are aware of the growing rage of mobile phones. In this rage, it is very important to make your website responsive so that you can cater the wide set of mobile-using audience. In fact, google is now removing all the website who do not stand to this demand. So, it is one of those primary steps that you need to take. Digital Marketing is undoubtedly a profitable step. It is just the matter of getting it rightly done. Be it E-mail Marketing, Social Media Marketing, Content Marketing, Web Designing and SEO all should be combined perfectly to attain profitable results. It is suggested to have a dedicated team of Digital Marketing who will be responsible to meet all your digital marketing requirements. The way your website looks tells a lot about your business. It is very obvious that an E-commerce company dealing in fashion accessories will look bright and colourful, while a company dealing in scrap goods, will be subtle and more content than graphic oriented. Visitors are often attracted by the look and feel of a website, and if you have not redesigned your website for years, now is the high time to revamp the same. Digital Marketing is the game of content. Any online business depends on the quality of content that it caters. It influences your Search Engine Optimization, attract customers, improving your brand name and increasing your ROI. A good digital marketing requires both quality and quantity of content; therefore, you need to keep your socks pulled up for the same. In Today’s businesses, there are number of thing that we need to look into. Digital Marketing is also one of them. To keep your business growing and survive in this cut-throat competition, you need to be updated with Digital Marketing. This provides you a chance to grab the attention of the target audience, their engagement, entertainment, enlightenment and utility. All these blended together with digital marketing leads to mutual benefit of both business and its consumers.